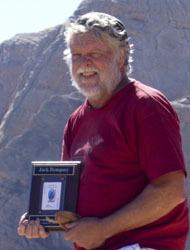 Bio: I retired from the post office 2 and a half years ago and moved to Las Vegas from Santa Rosa in in North California. While working, I enjoyed hiking in the Sierra and California coastal areas, but could not find much time to do it. 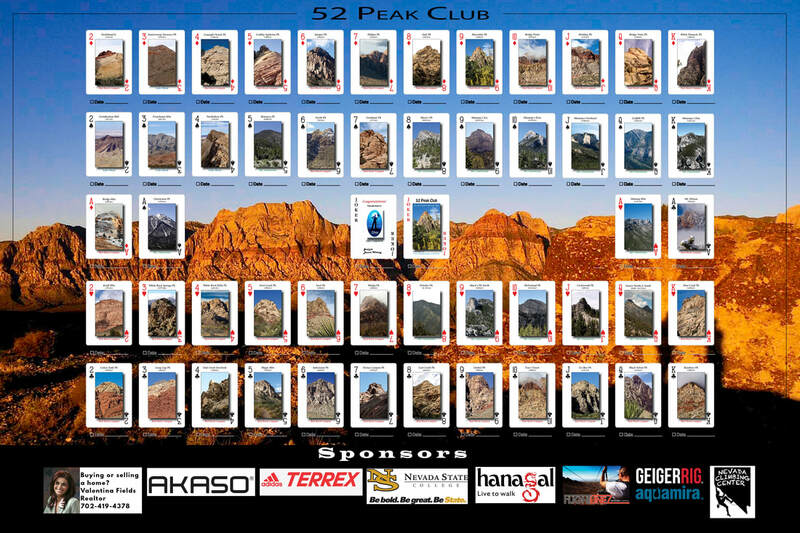 Why did you join the 52 Peak Club: I thought it would be fun to have a goal to go after and that it would help support your wonderful group, so I joined the 52 peak club. Toughest Peak: McFarland in the snow. How did you feel once you became a 53er: Felt like a nice accomplishment and a great way to spend my time with so many wonderful people doing what we love.I started with the easier hikes and as I gained strength and skills I moved to the harder ones. Advice for new hikers: Start with the easier hikes, gained strength and skills, and then move to the harder ones.The organizers and other experienced hikers can give you a lot of good advice on gear and technique so feel free to ask. 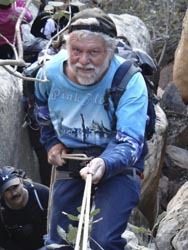 If you get to a spot that you don't feel comfortable doing without help or a rope don't hesitate to ask. Just because experienced hikers in the group can do a difficult or awkward move apparently with ease does not mean new hikers can necessarily handle it without help. No one will mind at all helping you.There is not much worse than trying something over your head and getting hurt.